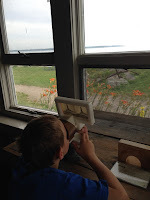 Nestled right next to the sea in Rye, New Hampshire, an interesting Science Center sits amongst a rocky coast, woodlands, WWII fortifications, a pond and a salt marsh. In the distance four light houses can be seen creating the quintessential New England backdrop. 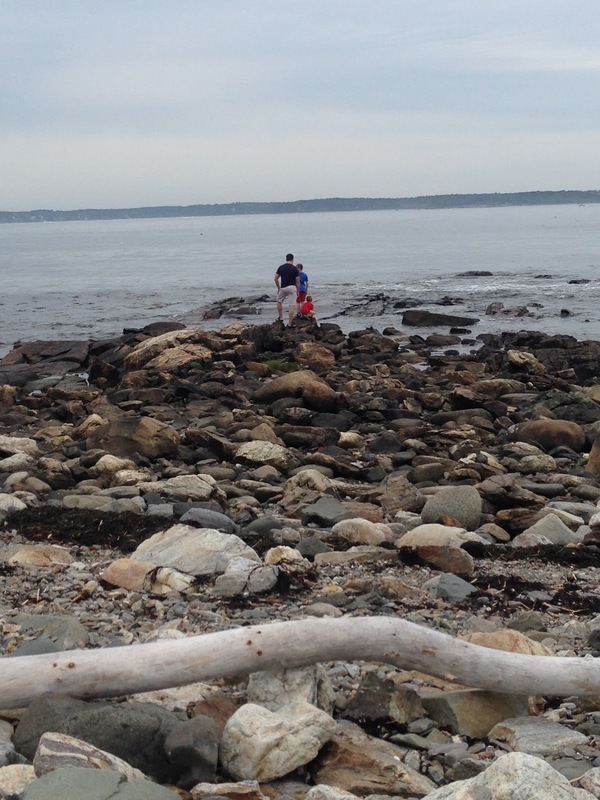 The Seacoast Science Center resides in the Odiorne Point State Park. A treasure just waiting to be explored. 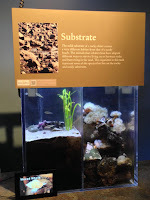 After our visit to the science center, we could not stop talking about our experience which included meeting a blue lobster, viewing marine life in their natural substrate, exploring a touch tank full of sea stars, hermit crabs and other interesting sea creatures. 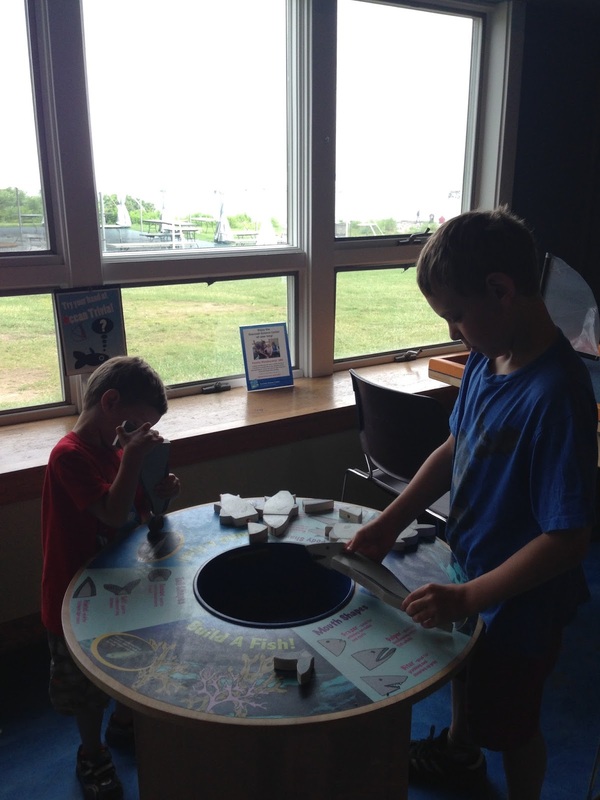 The size of the science center is perfect for learning about specific marine life. The exhibits are very detailed and we left with new facts about lobsters (Did you know that lobsters actually become stronger as they age? 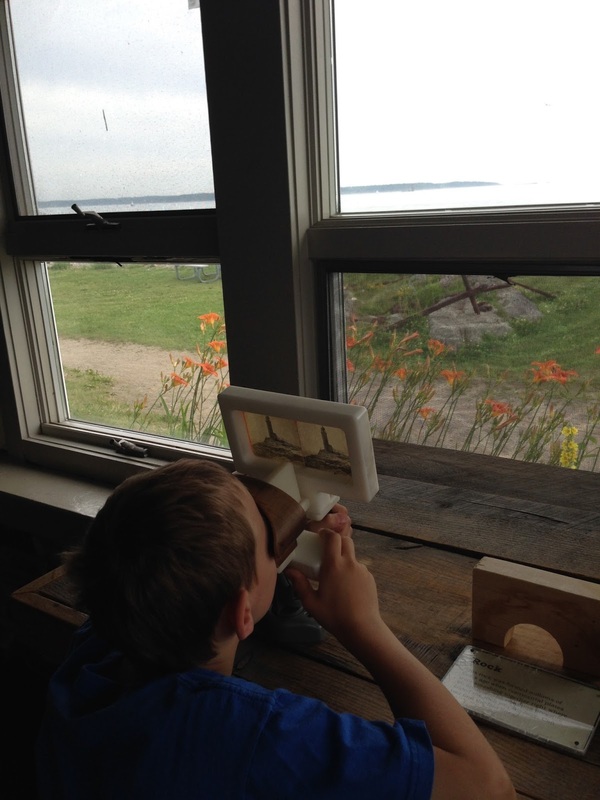 ), boating (a great hands on exhibit), and we were awestruck over their collection of marine life skeletons. 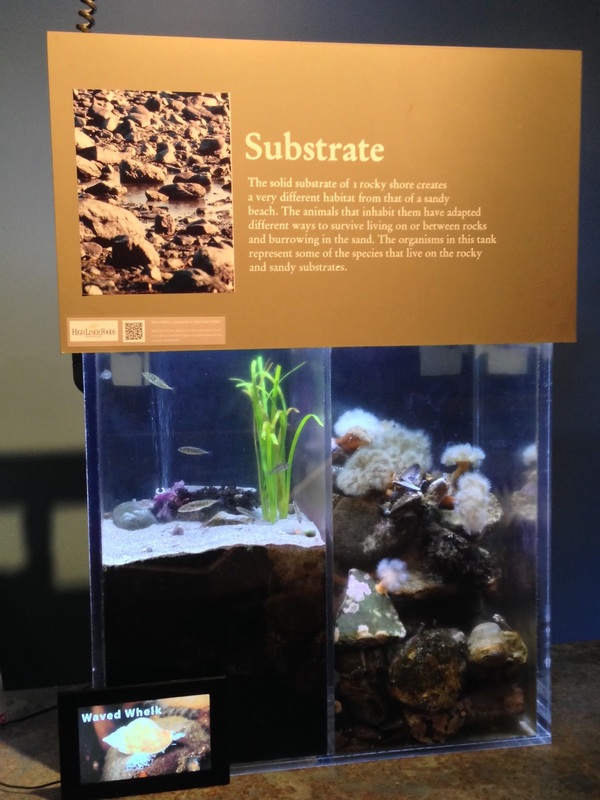 Each exhibit within the center provided a window into the world of marine life. We had the treat of watching the sea anemones being fed. We also saw fascinating marine life such as a Sea Dragon. After touring the science center, we stepped outside and found ourselves an endless natural habitat, a playground that delighted all of our senses. Walking along the rocky coast, the kids were fascinating by the different types of rocks and marine life that were tiding up on shore. 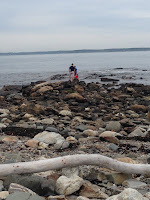 It is an easy one-mile walk from the Seacoast Science Ceter to Frost point on the trails and long the way there are many opportunities of nature exploration. 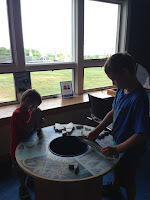 What we found unique about the Seacoast Science Center is that it provides both an opportunity to learn within the center and then experience what you learned about right outside the door in its natural setting.